^ Chisholm, Hugh, ed. (1911). "Commines, Philippe de" . Encyclopædia Britannica. 6 (11th ed.). Cambridge University Press. p. 774. Lawton, H.W. (1957). "The Arts in Western Europe: Vernacular Literature in Western Europe". In G. R. Potter. The New Cambridge Modern History: I. The Renaissance 1493-1520. Cambridge: Cambridge University Press. pp. 184–185. 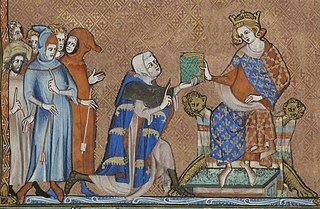 Jean de Joinville was one of the great chroniclers of medieval France. He is most famous for writing the Life of Saint Louis, a biography of Louis IX of France that chronicled the Seventh Crusade. Olivier le Daim, was a French favourite courtier and close advisor of Louis XI of France.